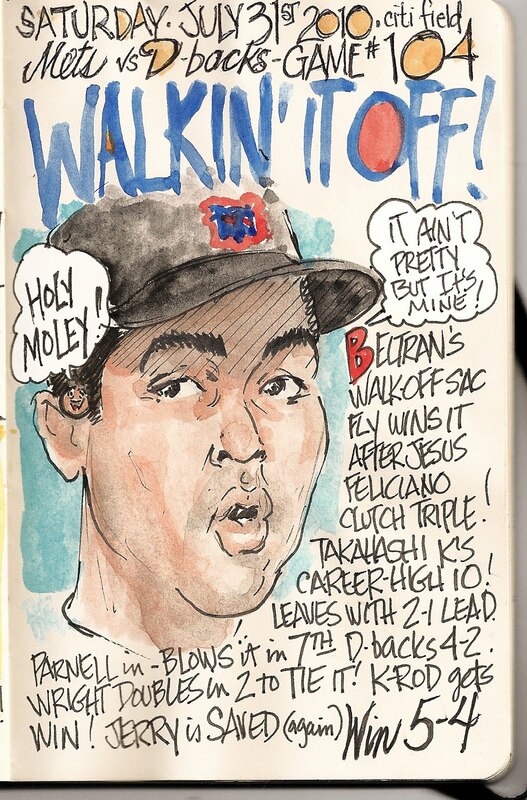 My Mets Journal: Mets Rattle Back! Finally! It took 5 tries, but we finally beat the lowly D-backs! Beltran's warning track power pays off. 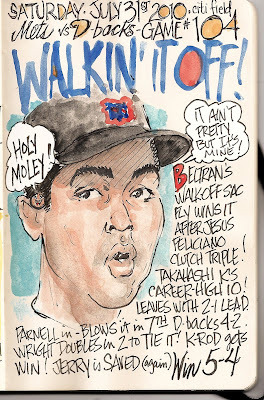 Again the "OVERWORKED and IMPROPERLY USED"Bullpen almost gives game back acfter strong start by Tak! Joe at the game and it was a great ceremony but again great work u rock man I tell everyone about your site!!!! I know u do your owe thing but thought if u could have the hof inductees talking to castillo Ollie Jerry and Omar while their all in your great crates lol well u rock thanks again for your great work!!!!! Let's Go Mets!!!! !